"A whirlwind of facial and body movements that you didn’t think possible from any human being.That girl needs help." Tiffany Murphy is a performer and performance maker whose work aims to challenge both the performer and the spectator within a seemingly accessible setting. She is interested in the quest for ‘authenticity’ in performance, and the emphasis of presence over representation as a performer. 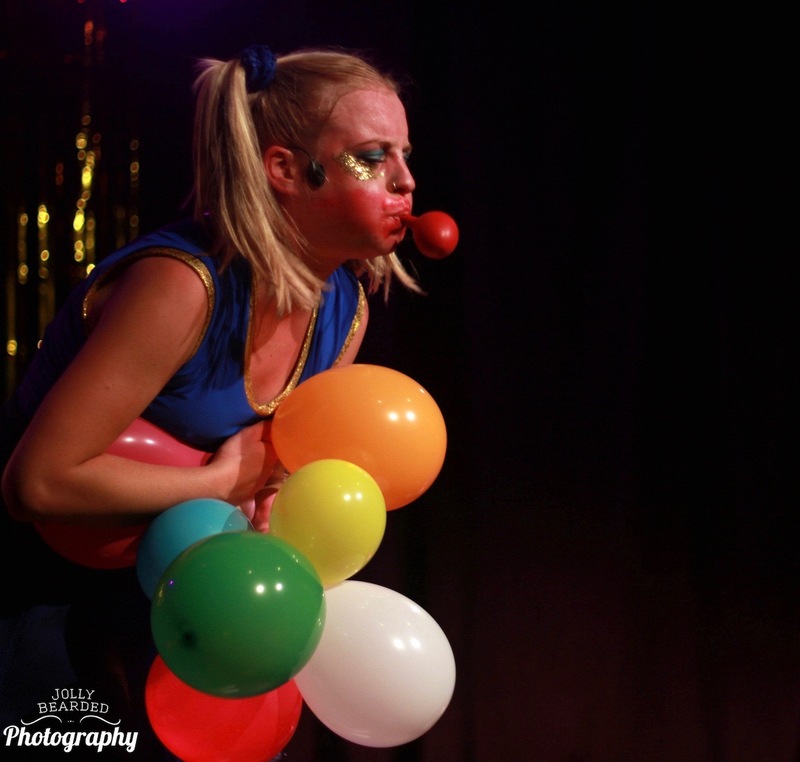 Her performance work is a fusion of live art, musical theatre and clowning. Tiffany studied Theatre and Performance Studies (BA Hons) at The University of Warwick, and did a Masters in Performance Making at Goldsmiths College, University of London. As well as a solo artist, Tiffany is Co-Founder of Neurosis Cabaret, a member of the international collective Company B and an associate artist of X+CO. with Xnthony. Projects include: DOUZE a collaboration with X+CO. which previewed at Tiger Dublin Fringe 2015, and has since enjoyed a successful run at Edinburgh Fringe 2017, My Name is B which has been performed at Arts Admin, London as part of ‘Banner’ 2014, The Power of Wow which also previewed at Dublin Fringe in 2017 and Anne Meets Jeffrey with Emma Berensten.